This tour uncovers the multi-layered history and culture of London and Cambridge, including interactive activities and visits to iconic locations. 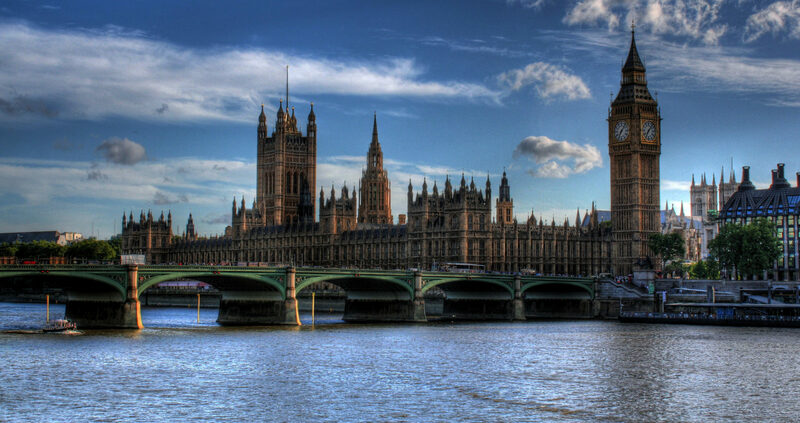 The itinerary covers the plethora of incredible attractions that lie within London; explore the nation’s political history in the Palace of Westminster and Churchill’s War Bunker; get a panoramic view of London by standing atop of the iconic Tower Bridge; go back over a thousand years to visit the city’s Roman temples. Want to see more? Take our 3 day extension on explore the street art of London, learn the history of Westminster Abbey and take a day-trip to Cambridge. Reach your accommodation from the airport. You will then meet your guide, who will greet you and explain rules and safety guidelines. Start your trip by exploring the Museum of London to refresh your memory on the history of the city and get an overview of what you’ll be seeing in person for the next few days. Enjoy a welcome dinner and a trip briefing. 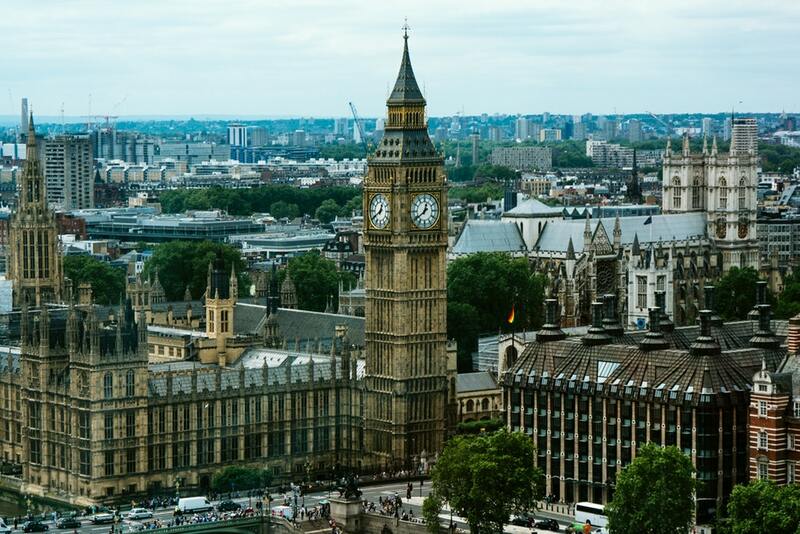 Head to the Palace of Westminster where you will learn about the House of Commons and the House of Lords, where the British Parliament sits. Westminster has governed Great Britain for centuries and layers of history lie within its walls to discover. Depending on availability, there might even be a chance to watch a debate in which MPs discuss current issues. In the afternoon, take a walk through the Westminster area and have a chance to see Buckingham Palace and St. James’ Park. Head to the Churchill War Rooms, the underground bunker where Churchill and his war cabinet found shelter from the bombing raids and plotted their strategy to victory during the Second World War. In the evening, people-watch in Leicester Square and Piccadilly Circus, where the city lights never go out! 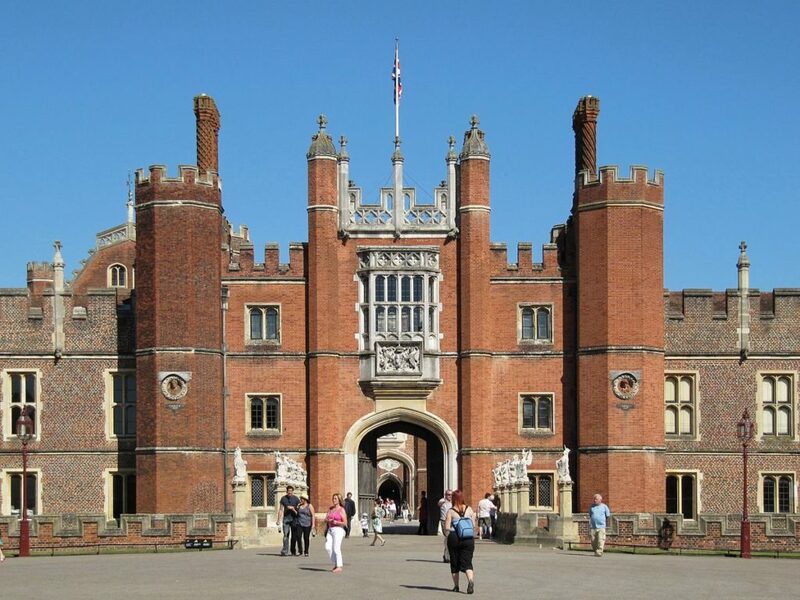 Today you will hop on a coach to Hampton Court, a royal palace that was first build in the early 16th century, opened to the public by Queen Victoria in the 19th century, and that has been the setting for many crucial national events in the meantime. Visit Henry VIII’s apartments, the Great Hall, the Tudor kitchens and the magnificent gardens. If you want, try to find your way in the world’s oldest hedge maze! Engage in a talk and a Q&A with a professional working in a history-related field, including archivists and curators. The speaker will provide insight into the profession and what skills are needed to thrive in the field. After lunch, travel back in time inside Dennis Severs House! The building presents a “still life drama” of what life would have been like for a family of Huguenot silk weavers in the 17th century. Wander through its ten rooms in silence, using all of your senses to catch every detail in this magical – but historically accurate – reconstruction. Spend the evening in Westfield London, the biggest shopping centre in Europe. Go back to Roman-era Londinium, and visit the Mithraeum, an underground temple dedicated to the cult of the god Mithras. There you’ll find ancient artifacts, digital projections of how the temple used to be, and exhibitions. Then, head to the Tower of London and explore the fortress to gain better understanding of its history and its many inhabitants, from royals to ravens! After taking a break for lunch, go on a guided walk in Leadenhall Market, a magnificent 14th century covered market, also used as a film set on numerous occasions. Head to Tower Bridge to learn more about this amazing London landmark, its history and workings. If you’re not afraid of heights, enjoy the view of River Thames from above from Tower Bridge’s spectacular glass floor. In the evening, spend some time browsing the food stalls from all over the world in the Southbank Market, and pick out a new cuisine to try! Visit UCL, a world-class university with a history department that dates back to 1830. Get a closer look at what studying a subject such as history looks like. Take a tour of the campus led by a current student who will introduce you to the university, student life and the courses on offer. In the afternoon, learn to play (muggle) Quidditch, a sport that has moved from the Harry Potter books and films into the real world! A member of London’s Quidditch Premier League or the UK National Team Coach will take you through warm-ups, drills, tactics and some final matches. Sorry to say, no flying involved. In the evening, take a walk down Oxford Street where you will have the chance to shop for souvenirs. Visit 19 Princelet Street, a unique exhibition-museum in the Spitalfields area dealing with the theme of immigration and diversity. Here you will gain an understanding of how different waves of migrants shaped the neighbourhood and the city itself, its past and its future. Then, head to Postman’s Park, where we’ll celebrate ordinary men and women in history who have given their lives in order to save others, and conduct a trip debriefing and a reflection session. Head back to your accommodation and prepare for departure, or continue your Learning Adventure with our Culture three-day extension. Continuing your trip with us? Spend the evening visiting Wesminster Abbey, one of the most important churches in London with more than a thousand years of history. There, you’ll see the Coronation site, the Royal Tombs, the Poet’s Corner and many more historical highlights. Explore the West End (London’s theatre district) on a guided walking tour and quiz your guide about all the gossip in theatreland! Visit Chinatown with your guide, and take part in a Learning Adventure photo scavanger hunt where you’ll try to find the sculptures of noses and ears hidden all over Soho and Covent Garden. In the afternoon, head over to Shoreditch for a walking tour of London’s street art scene. East London is home to one of the biggest collections of uncommissioned street art in the world, including those of the anonymous Bansky. Then, enjoy some free time to explore the stalls and talk to local creative and artisans in Old Spitalfields Market. Spend the evening enjoying the view of London from above from the Sky Garden in 20 Fenchurch Street, one of the tallest buildings in London. Travel to Cambridge (2hrs by coach). Led by a former Cambridge student, take a walking tour of the city and its many colleges and then take some punts (long narrow boats) on River Cam to enjoy fantastic views of the College “Backs” and Cambridge’s bridges. Next, we climb the steps to the top of Great St. Mary’s Church then, enjoy the hustle and bustle at Market Square. Take part in the Learning Adventure photo scavenger hunt challenge. Head back to London. Spend the morning exploring Hyde Park with your guide, and take in the beautiful gardens as well as the Princess Diana Memorial Fountain, the Serpentine lake and many more highlights. We’ll provide some nuts that you can feed to the friendly squirrels… or eat yourself if you’re hungry. Take part in a fun session of team games (wear comfortable shoes!). Also, find Speaker’s Corner, where you’ll try to persuade the others on an issue of your choice. Then, head back to your accommodation and prepare for departure.